In 1989, through the joint collaboration of the Catalan Autonomous Government, the Montmeló Town Council and the Royal Automobile Club of Catalunya (RACC), work began on giving one of Europe’s most beautiful cities a state of the art race track to match. The Circuit de Catalunya opened on the doorstep of Barcelona in September 1991 and welcomed its first international event that same month, hosting the Spanish F1 Grand Prix. It went on to host the European Motorcycle Grand Prix and in 1995 became home to the Gran Premio de Catalunya. 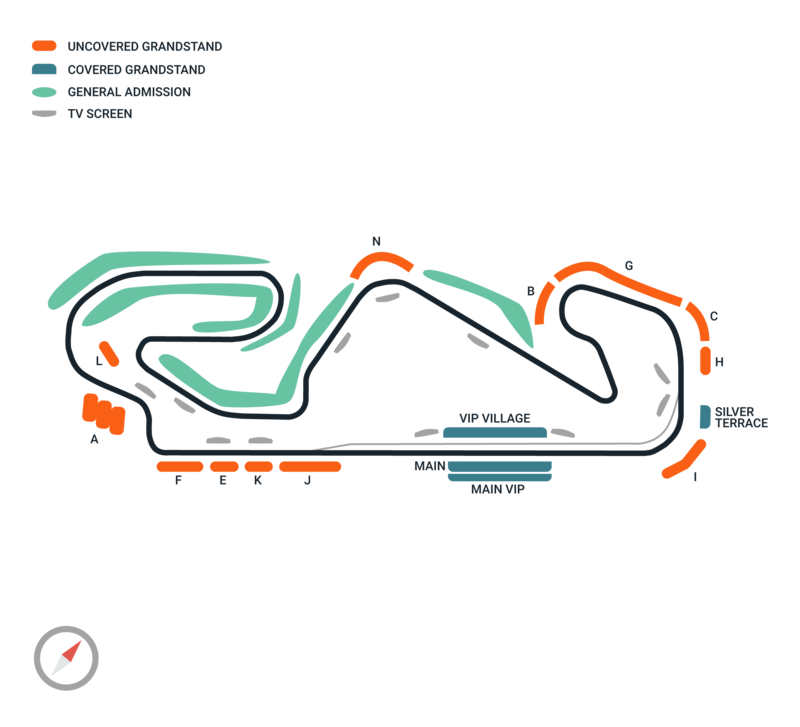 Considered to be one of the best designed circuits of the recent era, the Circuito de Catalunya won the much coveted IRTA ‘Best Grand Prix’ trophy for 2001 and has a general admission capacity of 104,000 spectators.